MTSU notes passing of alumna/l..
2 February deadlines await pro..
Young forensic scientists can still apply for the first MTSU Forensic Science Symposium! Organizers have extended the application deadline to Wednesday, Feb. 15, and students will be notified of their acceptance by Feb. 29. Youngsters in grades seven through 12 will be able to present their original projects in forensic science at the inaugural event, scheduled for Saturday, May 12, in the Paul W. Martin Sr. Honors College Building on campus. The science fair, which is open to students in Tennessee and beyond, will showcase original research performed in various fields of forensic science. It is organized in the form of a professional scientific meeting to introduce students to that experience. 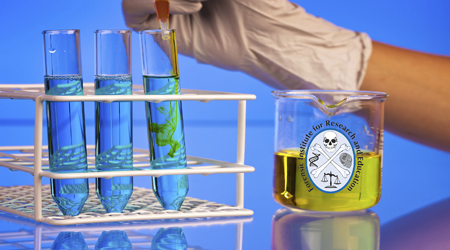 The symposium sponsor is MTSU’s Forensic Institute for Research and Education, which provides educational and training opportunities for law enforcement, medical examiners, coroners, attorneys, social workers and other groups in forensic science and homeland security. Students will present their symposium projects in both written and poster formats, and the judging will take place during the poster session of the symposium. Judges will include community leaders and professionals in science and forensic science. First-, second- and third-place finishers will receive cash awards. The first-place winner’s sponsoring teacher also will receive a special prize and recognition during the awards ceremony. Abstracts of all accepted projects will be printed in the official Forensic Science Symposium Proceedings Journal. Applications can be downloaded at www.mtsu.edu/fire. For more information, contact the FIRE offices at 615-494-7713 or email symposium coordinator Tiffany Saul at fire@mtsu.edu.